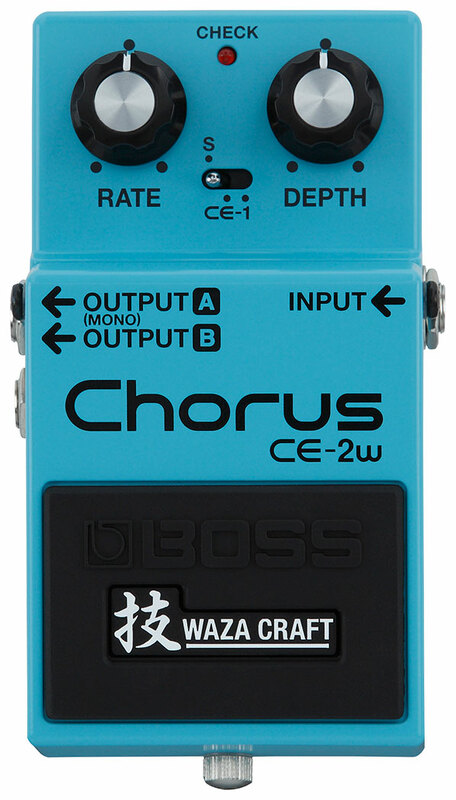 Boss have added a chorus to their "Waza craft" range. Launched in 1976, the CE-1 Chorus Ensemble was not only the world�s first chorus effect pedal, but also the very first BOSS pedal. Three years later, this inventive new sound was squeezed into the blue CE-2 Chorus, and chorus pedals have remained in the compact lineup ever since. Four decades on, the spacious modulated tone of the signature BOSS effect is still loved by musicians everywhere. In 2016, to celebrate the 40th anniversary of BOSS innovation, the original analog chorus sounds are now reborn with the Waza Craft CE-2W. The CE-2W�s Standard mode faithfully recreates the classic CE-2 chorus sound, and adds an expansive new sound field with stereo output, which was unavailable in the mono CE-2. CE-1 mode fully reproduces the stereo chorus and vibrato sounds of the legendary CE-1, with the addition of variable chorus depth not available in the original pedal. To commemorate the birth of BOSS effects, the CE-2W is made exclusively in Japan, just as the original CE-1 and CE-2 were. Andertons and GAK have them up for �169 of your hard earned. NICE! I'll still hold on to my trusty CE-2 though. Can't fault Boss for releasing stuff like this when you look at the used prices of the DM-2, CE 1 and 2, Slowgear, the Vibrato etc. The demand is there. Reissue-like pedals merely demonstrate that Boss are paying attention to the market they used to dominate like 18 years ago. Admirable effort. Now I'll have to find some room on my pedal board. Relevant to my interests for sure. I'm probably going to get one, especially if I can get the usual 15-20% off deal. I loved the CE-2 I had and only sold it to pay bills. I've been considering a CS-9 because used CE-2 prices keep trending upwards. Looks good. Would try one but the Mooer CE-2 copy I have is the best Chorus I've heard/tried. 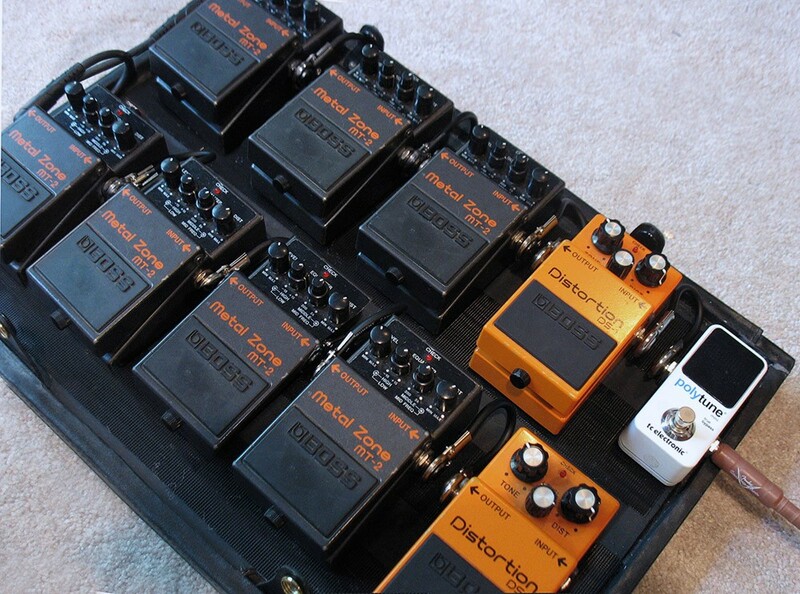 Is that pedal analog ? YES, the original was analog. Some classic chorus options in one box, but �169? What's required to make a CE-2B into a CE-2? I know that the bass versions are still a bit cheaper. Or should I just swap my BF-2 for a CE-2, because I never use it? I had the one I had converted, I believe it requires only a couple of component changes. Did you get someone to do it?